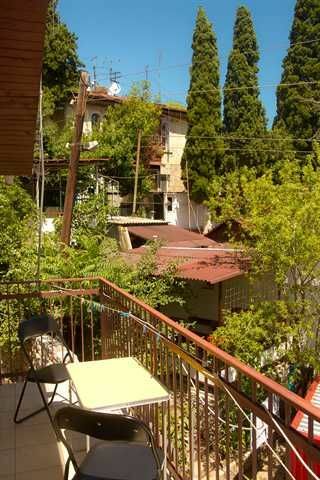 Sobaka Hostel is located in a quiet place of Old Yalta district with lots of narrow cozy streets. A mixture of sea and mountain air make this place unique and really good for health. That's why Anton Chekhov built his well-known residence White Dacha exactly in this location.Modern 3-floor cottage made of eco-materials with all the amenities. 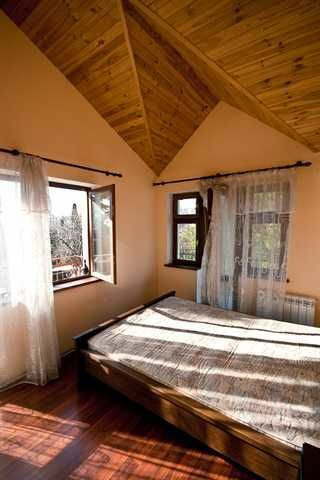 Most rooms at Sobaka Hostel feature a balcony. There is a shady backyard for barbecue and relaxation. We offer 2 dorm rooms and 3 comfortable privates. WC + shower on each floor.Our services include:- 24 hour reception- Broadband internet, Wi-Fi- Coffee, tea and ginger- Independent hot water and heating system- Bed linen and towels- Washing machine- Satellite TV- Bikes for rent- Cycling tours through the mountains- Hiking trips to the mountains, waterfalls, canyons, national parks- Camping- The sea excursions to inaccessible beaches and grottos- Connection with other accommodations in Crimea and UkrainePlease note:We have a 72 hour cancellation policyWe only accept Cash payments on arrival.Check in: 12:00Check out: 11:00Breakfast is not included.Taxes are included. Getting to Yalta from Simferopol:If you arrive to Simferopol by plane, you need to take a bus to the Simferopol railway station. From the railway station you can choose between marshrutka (small bus) Simferopol-Yalta or the famous Crimean Trolleybus 52 (which is the longest trolleybus line in the world) to final stop. 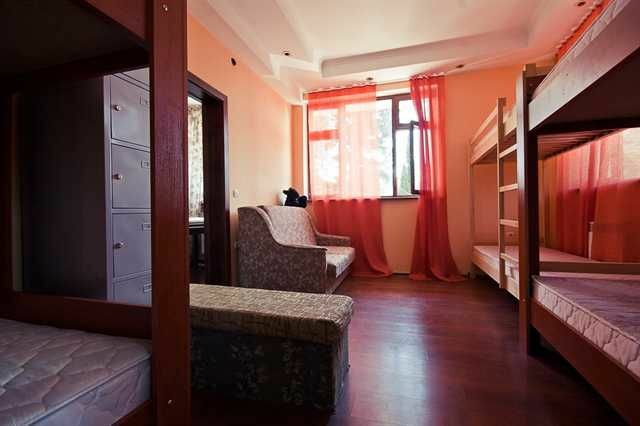 In last case the trip to Yalta will take about 3 hours, but will cost 2 times cheaper than marshrutka.Getting to Sobaka Hostel:Car transfer by request is 5 Euros. Please inform us beforehand if you want a transfer to be arranged. Please send us SMS or make a call as soon as you are leaving Simferopol. If you want to get to us by foot, please follow the map.